Rick Bayless finally comes to California at the brand new Red O(nion), though only as a consultant rather than a chef-owner. 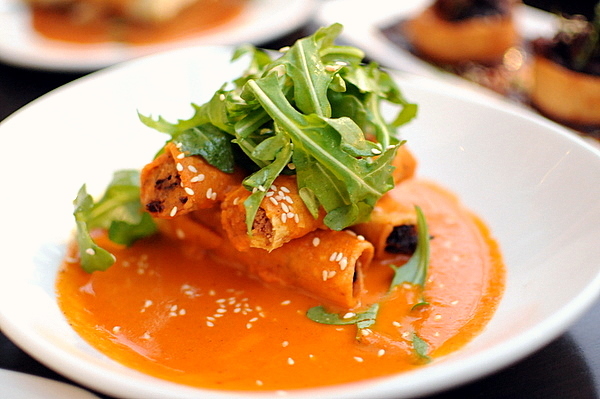 Chef Bayless is well known for his contemporary Mexican cuisine and is a veritable institution in Chicago where he owns three restaurants: Frontera Grill, Topolobampo, and the new Xoco. 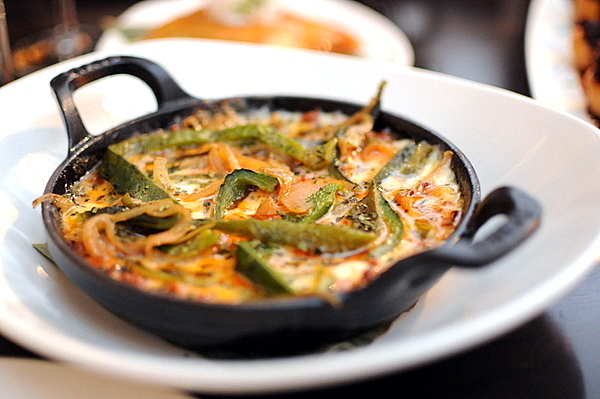 During his 20+ years in Chicago, Chef Bayless has established himself as one of the premier Mexican chefs in the country. Before running his own restaurants, Chef Bayless hosted a PBS television series and studied extensively in Mexico and served as executive chef at Lopez in Cleveland which remains one of the best Mexican restaurants in the area. 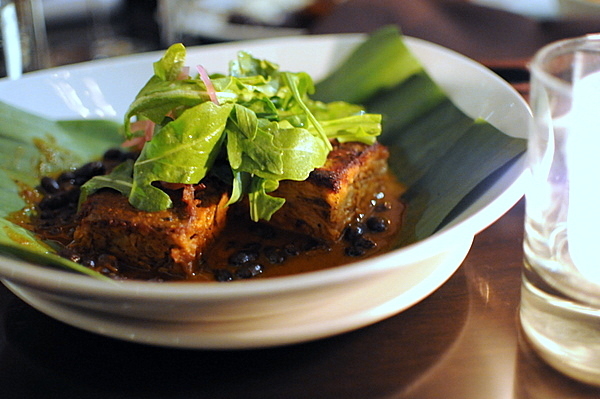 Interestingly, though Chef Bayless has been received numerous awards, including James Beard Chef of the Year in 1995 he only seemed to achieve celebrity chef status recently when it was learned that Topolobampo was one of the Obamas' favorite restaurants. Winning Top Chef Masters shortly after didn't hurt either. 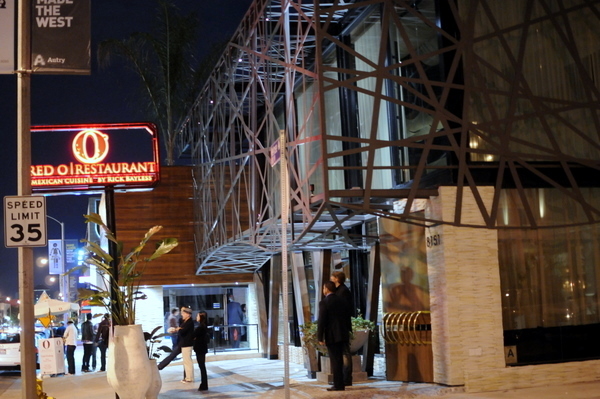 Red O is located on Melrose just off restaurant row in the former home of Moustache Cafe. The exterior has a distinctive metalwork grate and the main entrance has a clubby feel with two intimidating doormen checking reservations. 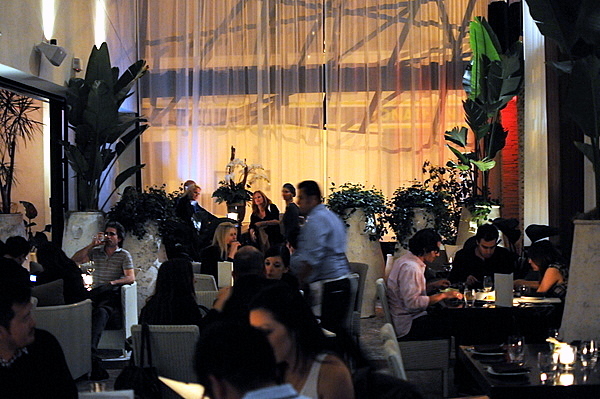 The door opens into an airy dining area that one of my companions said had a very "Miami" feel to it. In the back is a small bar and a handful more tables with more of a lounge feel to it. 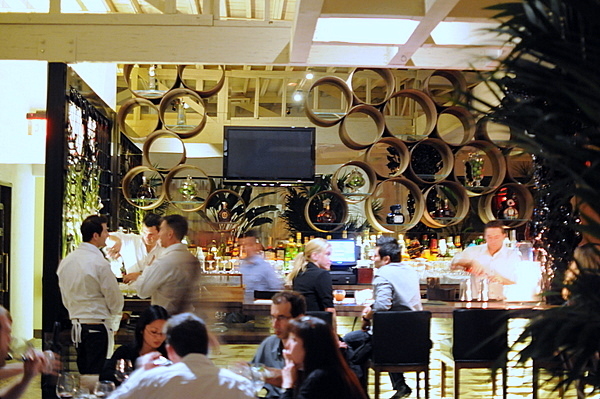 A tequila bar is connected to the restaurant by a "tequila" tunnel where the walls are embedded with dozens of bottles. 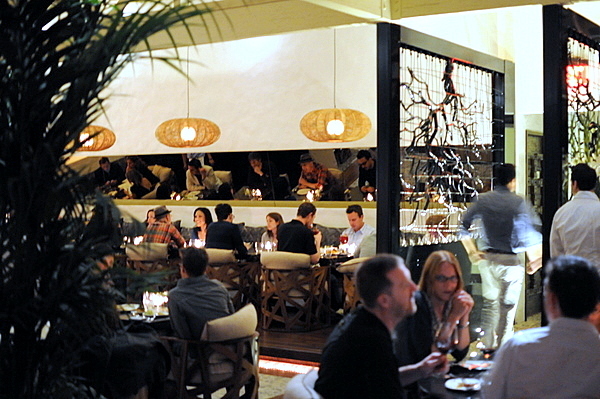 The overall effect is a restaurant that feels contemporary and comfortable at the same time. 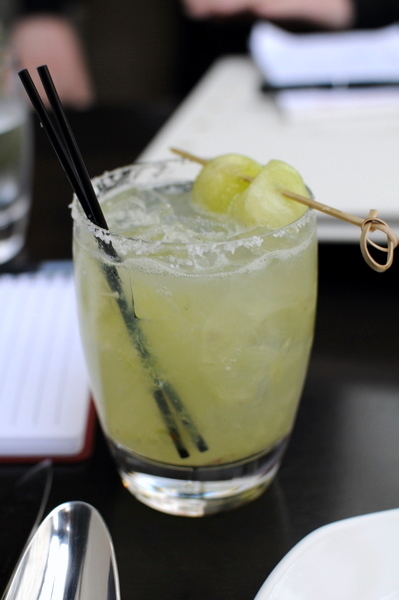 This drink looked promising but the citrus and tequila took precedence over the subtle cucumber and melon resulting in a fairly one dimensional margarita. The drink was enjoyable but a lot of the detail was lost in the bluntness. 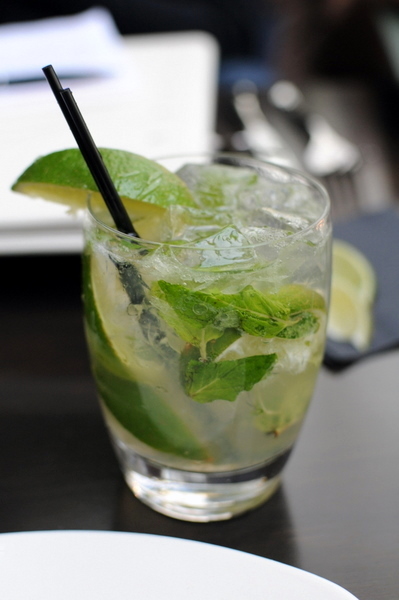 It was good to see Kevin getting back to his roots with the classic mojito. Though I hoped to see the interplay of the chile and cilantro, this proved to be a sweeter preparation. 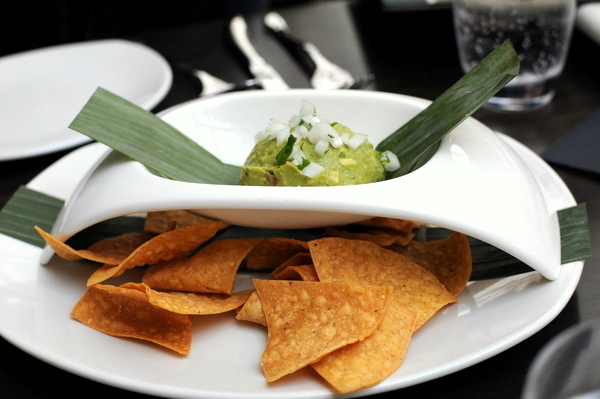 While we were waiting for everyone to arrive we ordered a helping of the house made guacamole. The freshness is evident in the sweet creamy body, the crisp bite of the onions, and the tinge of citrus pervading the dip. The sun-dried tomatoes were a particularly nice touch, adding a welcome zest to the mix. Probably the second best preparation of guacamole after Oyamel's. 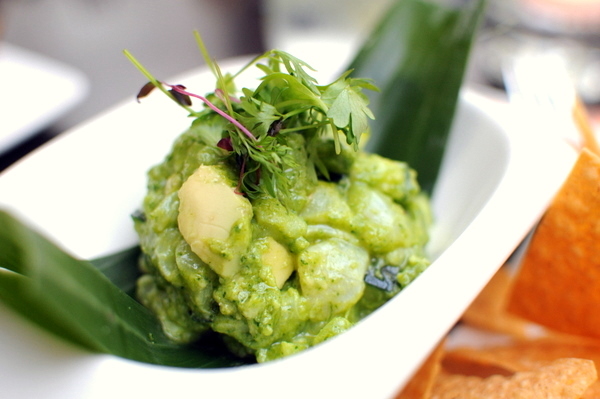 Grilled Mazatlan Blue Shrimp Tostaditas - roasted garlic mojo, avocado with fresh jícama "chips"
A nice light starter, the shrimp itself has a light brininess that lends itself well to the roasted garlic. 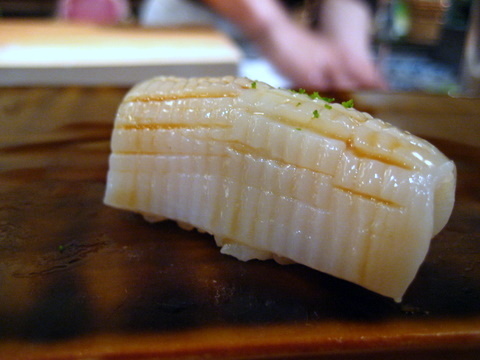 The jicama was a critical addition giving the dish a light succulent snap. 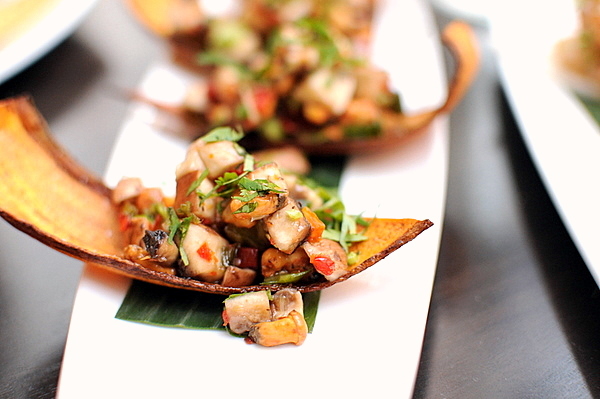 I wasn't sure what to expect from a mushroom ceviche, but it certainly wasn't the explosive mix of acidity and spice that I got. The brash flavor combination was tempered by a subtle earthy undertone from the mushroom though the heat from the serrano's lingers on the palate long afterward. After the bold flavor of the previous two appetizers my first bite of the halibut ceviche tasted literally like nothing at all. After my palate adjusted I noticed a distinct vegetal essence from the cucumber. Surprisingly the ceviche had none of the typical acidity nor did it have the deeper flavors of the Ceviche "el Bajio" I had at Oyamel. 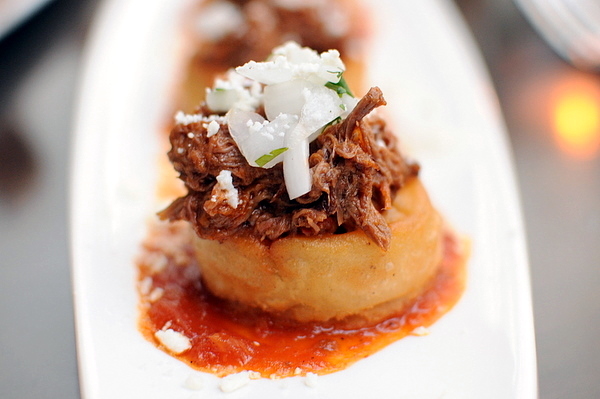 First up was a Sopes of shredded beef. 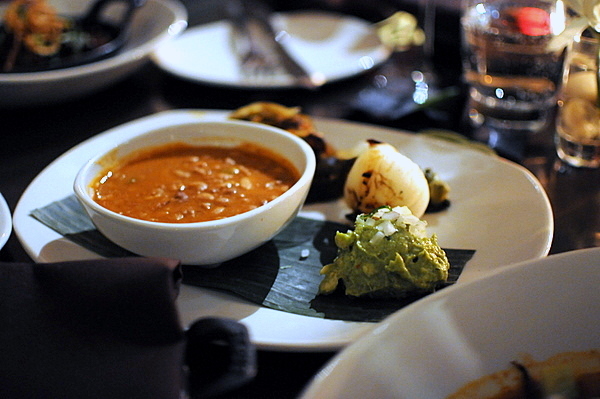 The bed is made of corn masa (corn treated with slaked lime or lye) and had a texture reminiscent of a fried tortilla. 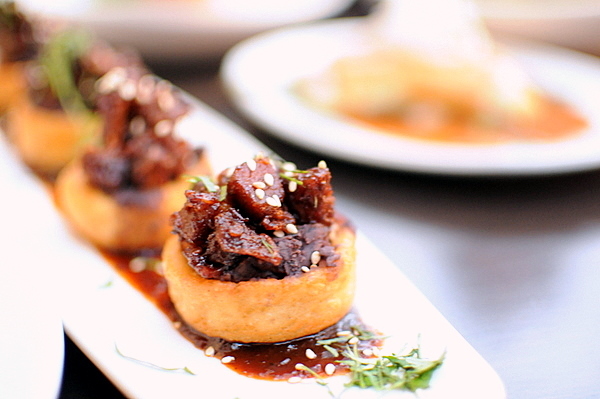 The simple fried sapor was just strong enough to be apparent against the rich stew-like beef. 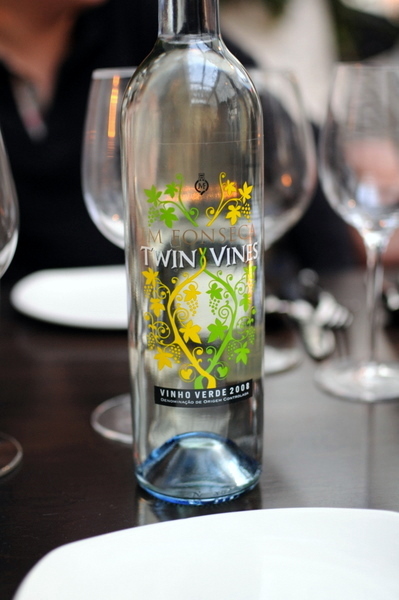 Kevin wanted a sparkler for our white, but we ended up selecting a Vinho Verde instead. The wine proved to be a solid pair with the lighter appetizers. 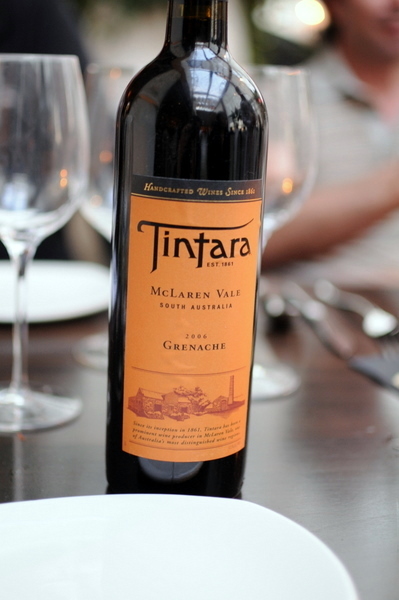 Incredibly lively and vivacious, the subtle effervescence compliments the wine's bright acid and citrus notes. The red took on a drastically different style from the white, incredibly deep and rich, the wine almost overwhelms the palate with ripe jammy fruit. Perhaps a touch sweet, but very easy drinking. Noticeably richer than the shredded beef the sauce had a smoky-sweet barbecue with a deft finish of spice. The richness of the belly was apparent throughout the dish though I would have liked clearer textural differences between the fat and lean meat of the belly. Without a doubt, the best taquitos I've ever eaten. The stuffing was redolent with the rich sapor of roast duck complimented by the sweet woody essence of the tomato-árbol broth. 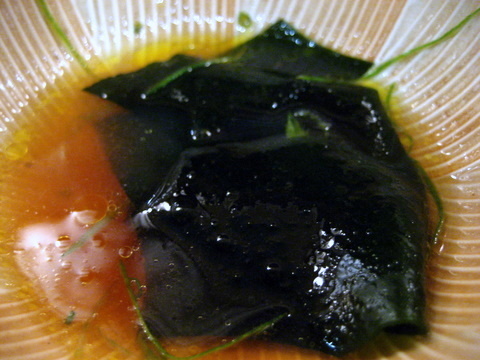 The key to the whole dish was the arugula which cut through the acid and fat with a clean refreshing bitterness. 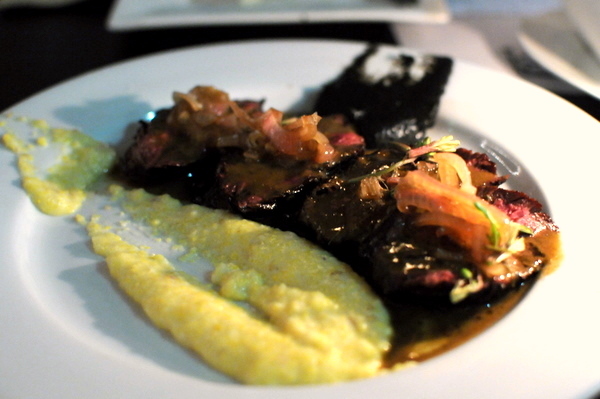 What stood out here was the interplay of the sweet ground corn and the smoky herbed mole. The denseness of the savory sweet mixture was mitigated effectively by the sharp tang of the pickled onions. The dense melted cheese had a pleasing heft to it and a mildness that lent itself well to the accompanying flavors. The chorizo was quite subtle, a nice change from the typical in-your-face flavor, adding a spicy meaty undertone but not overwhelming the bitterness of the roasted peppers and chiles. Though I enjoyed the flavor of the chiles and roasted garlic, I thought the seasoning overpowered the natural flavor of the meat, obliterating any trace of the lamb's characteristic gaminess. I made the mistake of mixing everything together without trying the catfish on its own first. The amalgam had a mouth filling smokiness courtesy of the beans and a complimentary bitterness from the roasted poblano but the fish itself was completely invisible. 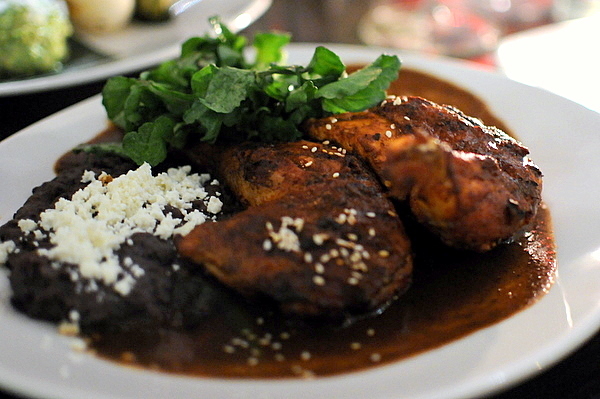 I'm not normally a fan of mole but this was remarkably subtle and in tune with the dish, the classic interplay between the sweet, smoky, and spicy complimented the chicken without overwhelming it. The chicken itself was marked by a powerful char courtesy of a lovely flame grilling. 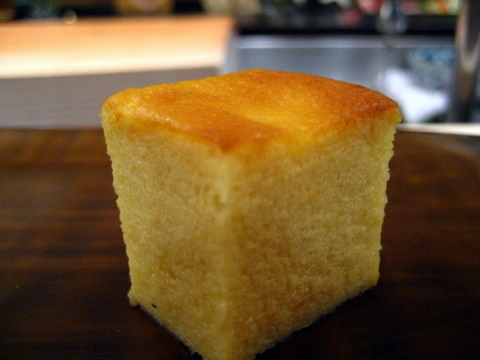 The texture was a bit uneven, tender and succulent on the inside but a touch dry towards the edges. I absolutely loved the pork at Rivera so ordering this was an easy call. The meat was appropriately tender, breaking apart easily with just a fork but it lacked the oily lushness of Rivera's preparation. 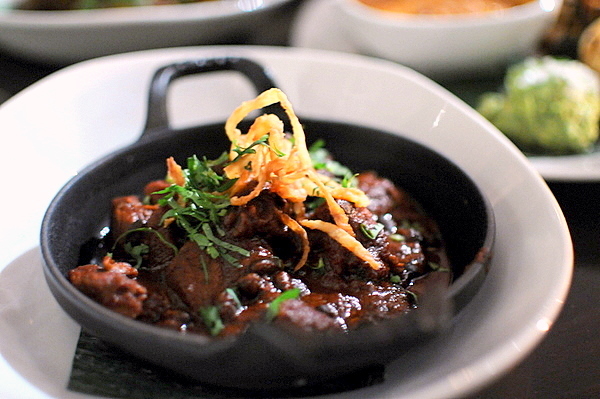 Though the leaner cut of pork made it easier to appreciate the deep smoky character of the achiote marinade. 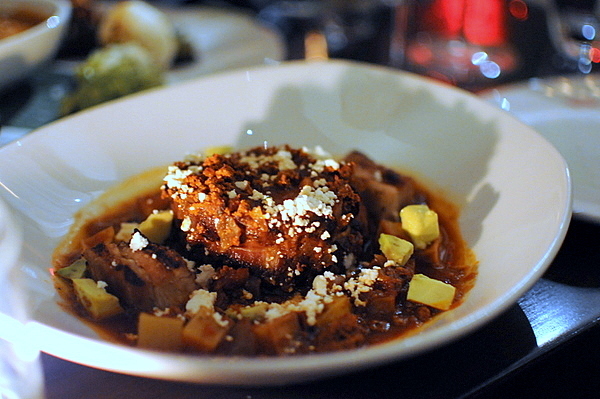 After a series of heavy one-dimensional entrees, the Tinga was a welcome change. 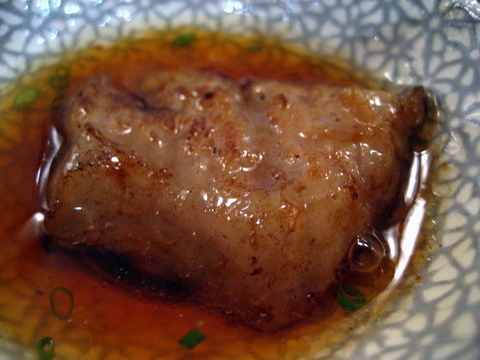 The shoulder meat had the perfect amount of fat lending the lean meat a moistness and savory unctuousness superb when eaten with the sauce which added a slow growing heat that lingered on the palate. Where the meat was clearly the focus of the earlier courses the chunks of Yukon gold potato imbued with a sour kick from the roasted tomatoes added a fantastic contrast to the richness of the meat. This dessert also doubles nicely as a fromage course with a readily apparent gaminess from the goat cheese, tinged with a trace of blue cheese essence. 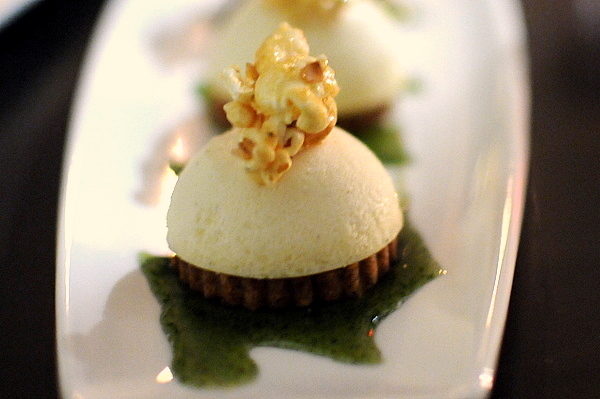 The richness of the cheese paired seamlessly with the savory-sweet caramel corn. On the finish, the herbal sweetness of the "root beer" sauce and buttery flavor of the crust come to the fore and help to ground the dessert. This might be my first experience with sweet empanadas. 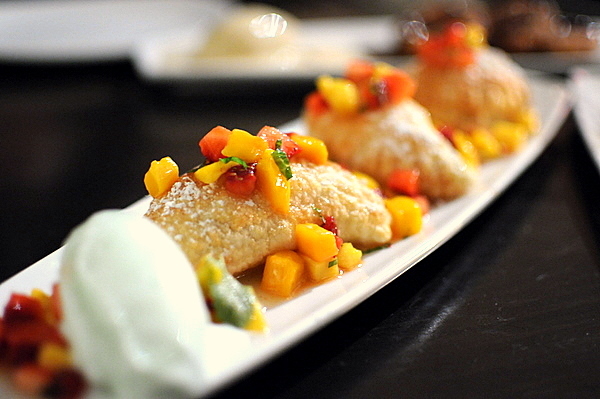 The sweetness of the flaky pastry really highlighted the liveliness of the fruit, very much akin to a good fruit tart. The dessert would have been too simple were it not for the sorbet which did an excellent job capturing the verdance of its namesake cocktail. A cinammon-sugar puffed pastry similar to a cross between a donut and a churro how could this be anything but delicious. 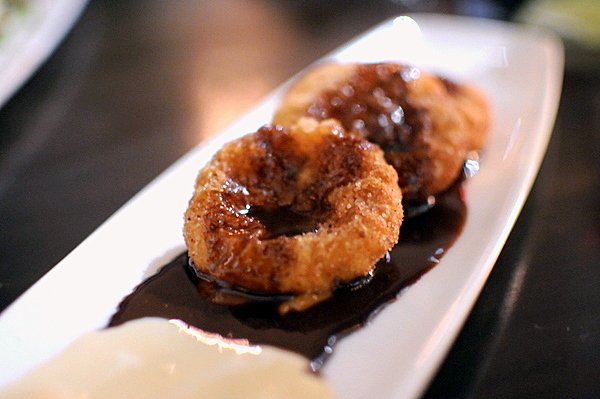 Delicious on its own or with the caramel ice cream and chocolate sauce which were natural pairings for the Buñuelos. 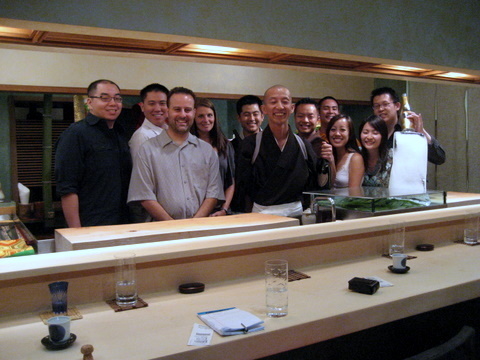 I thoroughly enjoyed my experience at Red O, that it was opening night made the achievement all the more impressive. For the most part the food was flavorful and well executed. Though some of the later courses bogged the meal down with their monolithicity, this was more due to the style of the food rather than a lapse on the part of the kitchen. Given that Chef Bayless is just consulting on the restaurant it will be interesting to see if the kitchen can maintain the same level of quality over the long term. As always I greet the opening of a new Ludobites with great anticipation so it was with great sadness that I missed out on the opening night; in fact I didn't make it to the restaurant until two weeks in. 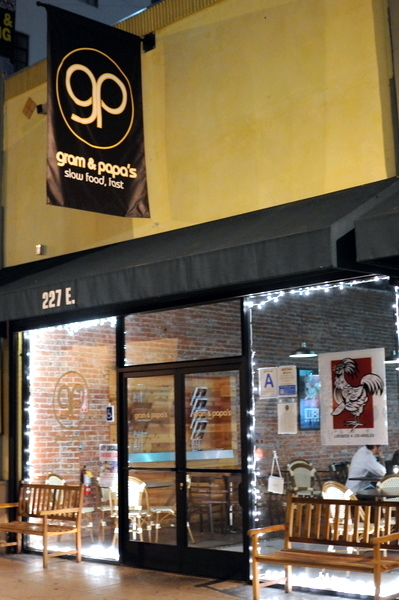 LudoBites 4.0 has taken up residence in Gram and Papas, a Downtown sandwich shop. 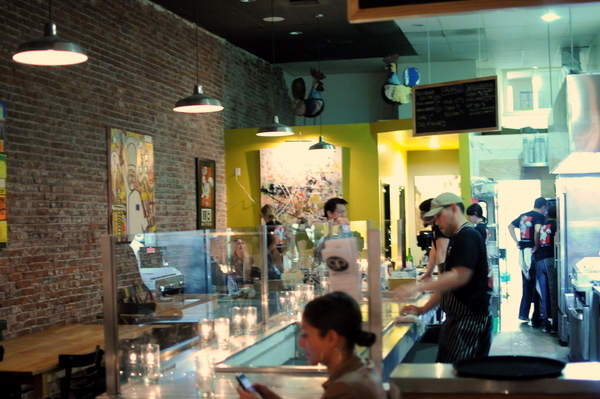 The restaurant has an urban chic feel which clashes with the cool stainless steel and glass kitchen. We forgot that with the exception of the iteration at Royal/T, LudoBites has been strictly BYOB. I expect we weren't the only ones to forget as the staff was well versed at directing guests to the nearby Jason's Wine & Spirits two blocks away. 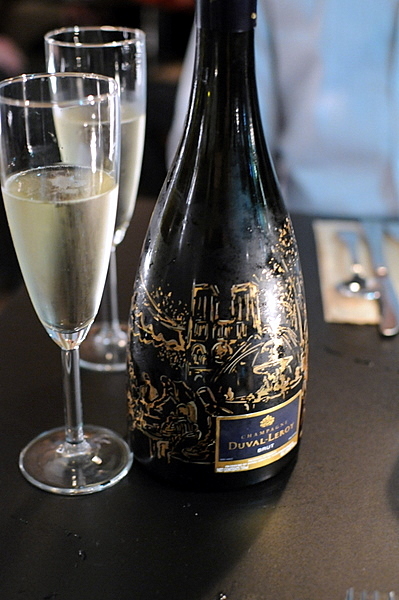 The bottle of Duval-Leroy Design Paris champagne caught my eye with flashy gold imagery. The wine itself proved to be a decent choice, the wine proved to be a softer champagne, with lots of apple and white flower on the nose and more fresh fruit and citrus on the palate. What struck me initially was the sweetness of this dish the candied olive reminding me of dried strawberries. After the sweetness dissipates, the vegetal tang of the asparagus becomes more apparent though still less than I expected. The combination of the thick creamy velouté and the crisp shaved fennel stood out in my mind as one of the most interesting pairings I've had in a while. My complaint with escargot is the overwhelming intensity of the garlic and butter. 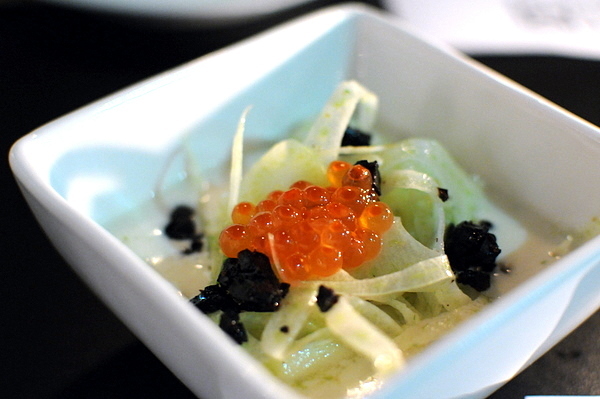 Here the flavors are more balanced making it easier to appreciate the natural salinity of the escargots. 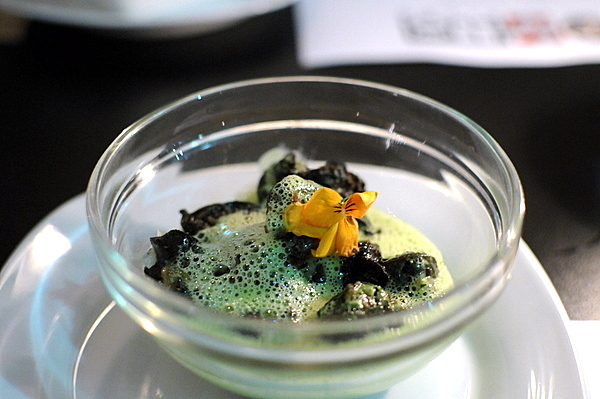 The snails came with a green jus and flowers that added a subtle herbaceousness, another welcome change from the traditional escargots de Bourgogne. With such a thick cut of salmon the fish can become somewhat overwhelming, the weight of the potato was indispensable in providing contrast and foundation. 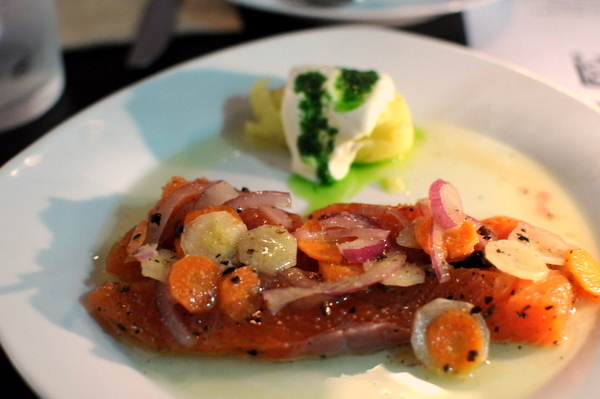 The fish itself had a palpable tang from the vinaigrette, a welcome foil to the crème fraiche. 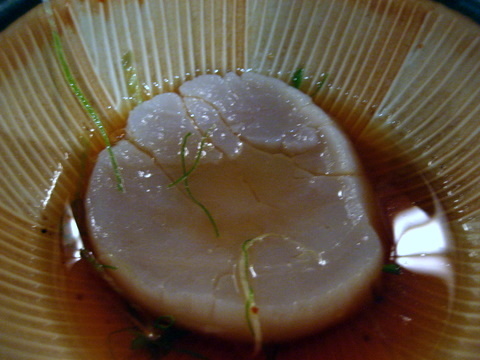 The scallops themselves were plump and succulent with a mild savoriness. However, the accompaniments were particularly discordant especially the vinegary grapes and bitter caper paste; an intense display of acerbic, bitter, and verdant flavors. With Ludo's brash and adventurous style there are bound to be courses that don't agree with everyone and for me this was one of those courses. I appreciated the risk and inventiveness of the pairings but just couldn't enjoy the resultant flavor profile. 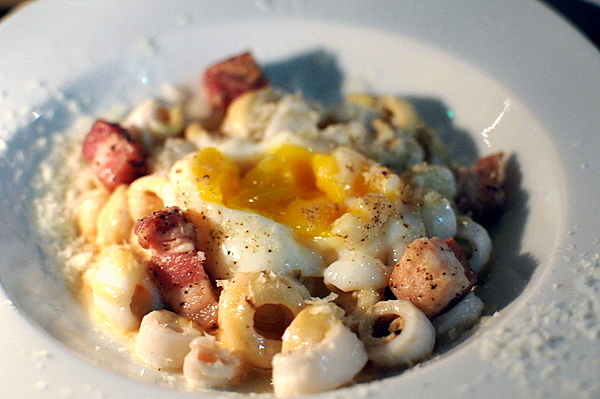 The dish had all the elements of a traditional Carbonara: eggs, some sort of cured fatty pork (Pancetta), and either Parmesan or pecorino cheese resulting in a savory decadent flavor. It was the inclusion of squid "pasta" and the resultant textural interplay between the squid and the dense viscous egg yolk that made this dish truly exceptional. I was immediately intrigued when I heard about the ham soup. The elements are consistent with a classic sandwich but liquefied. 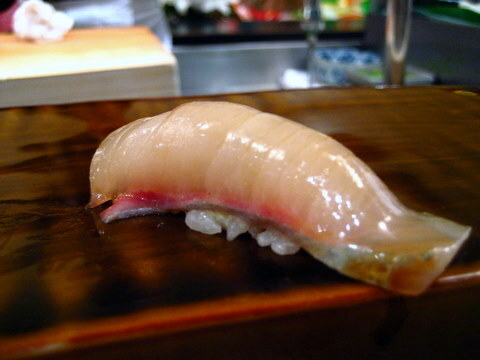 The texture was thick and creamy with a noticeable fibrousness to it. The soup had a pronounced meatiness to it smoky, savory, and hammy with a dry cheesy note from the Swiss. 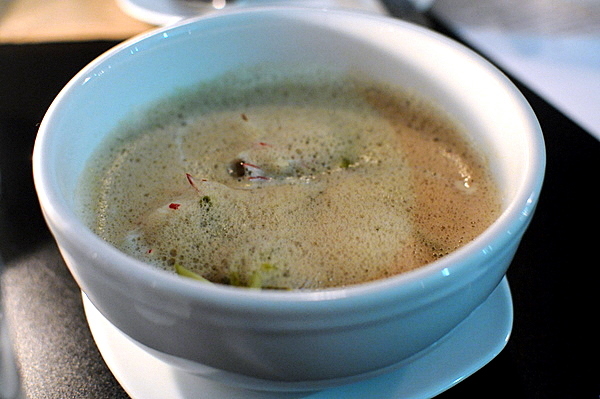 The addition of radish and cornichon helped balance the weightiness of the soup with a piquant counterpoint. One of the more conservative dishes. 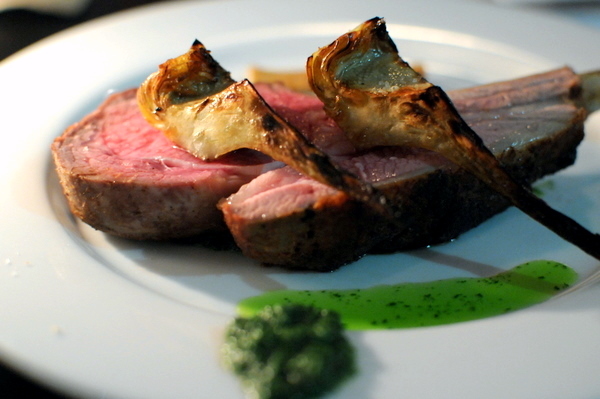 The lamb itself is fairly typical of a well cooked chop, succulent and tender, absolutely superb tinged with fresh mint. The eel amplified the depth of the lamb's smoky sapor and the subtle game of the goat cheese was the natural companion to the lamb's natural gaminess. 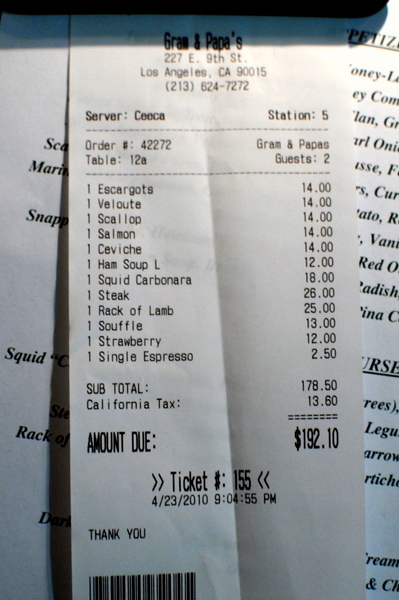 Ludo's steak dishes have been a fixture at all his restaurants and typically one of the stronger courses. This was no different the succulent, tender beef exudes waves of smoke and pepper. The polenta bone marrow possesses an intriguing meaty sapor but is mild enough to still serve as a moderating accompaniment to the beef. 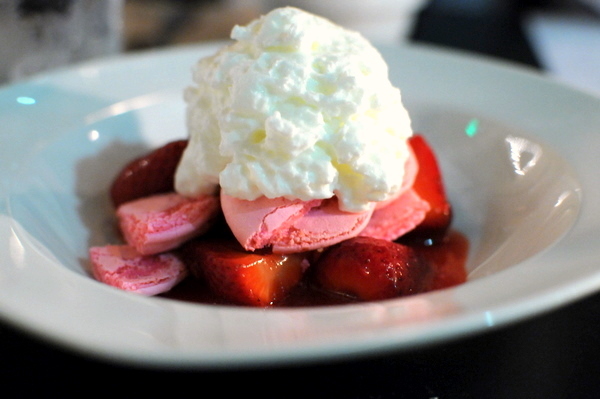 I couldn't have asked for more from this dessert, the strawberries were perfectly ripe and bursting with sweet fruit. I loved the slight gummy chew of the macarons and the simple thickness of the chantilly. The resulting combination was reminiscent of a fresh strawberry pie. 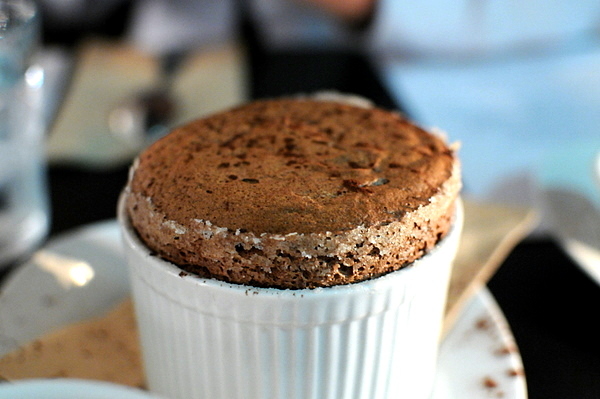 A simple chocolate soufflé would be too boring for Ludo so the shot of whiskey ice cream was just what the doctor ordered, adding a distinct woody character and peppery bite. I have really been loving the alcohol based ice creams, the subtle burn stands out exceedingly well against the typical sweetness of the dessert. Sampling Ludo's new creations is always a joy. 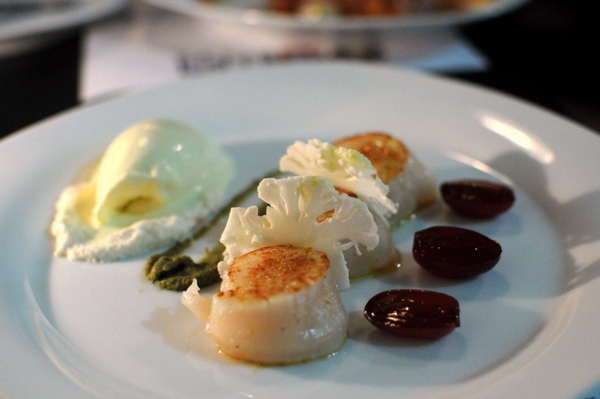 Never content to rest on his laurels, Ludo is always creating devising new dishes to tantalize and challenge the palate. During the course of dinner the question came up which version of LudoBites was the best? There were a good number of votes for 2.0 though the majority argued in favor of the latest version. For my part, I thought the food at 3.0 was the best though after thinking through the dishes of 4.0 I've had a change of heart. The food at LudoBites has always been intriguing but I thought this was noticeably more cerebral particularly with regards to the textural combinations. 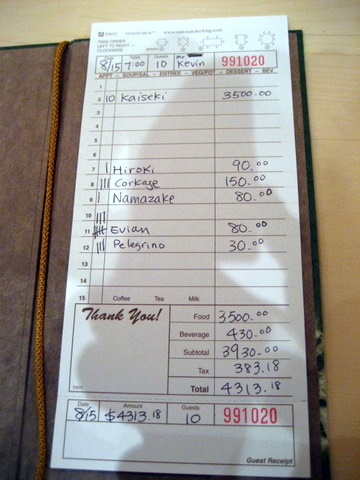 Even after four trips here, Hiro-san never fails to amaze. The new courses dazzle and delight and the old ones make you wonder why you ever go anywhere else. With another trip coming up I felt I had to get this old one off the backlog. Having been here so many times I sometimes feel at a loss when writing about Urasawa, I mean what can I say that I haven't already said? Hiro-san wasn't pulling any punches with this course. 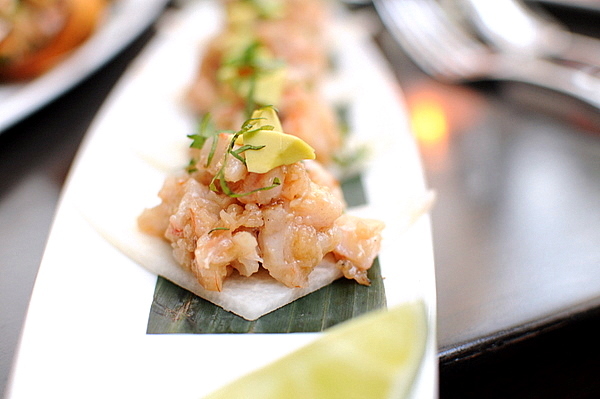 The lush rich toro is paired with equally luxurious shrimp and sea urchin making for a stupendous seafood trio. The accompaniments ran the gamut from sweet salty sour and bitter yet the overall feel was remarkably light making this the perfect course to whet our appetites. 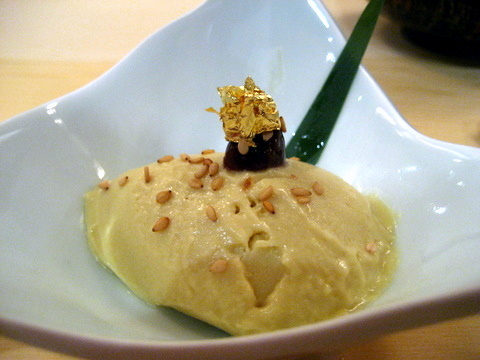 Another fixture of dinner at Urasawa is some sort of custard (egg, tofu, yamaimo). 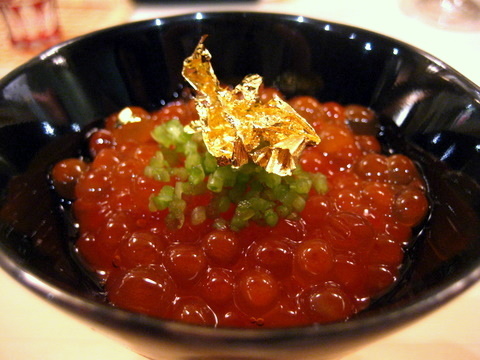 This is the second time I've had egg custard at Urasawa and this time around I was better able to appreciate the interplay between the silken creamy egg and the ikura. The musty earth of the mushroom settles appreciably throughout the custard giving it a lingering depth of flavor. 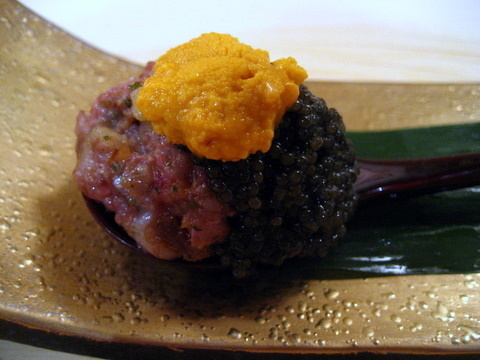 Wagyu, uni, and caviar three of my favorite things in the world. 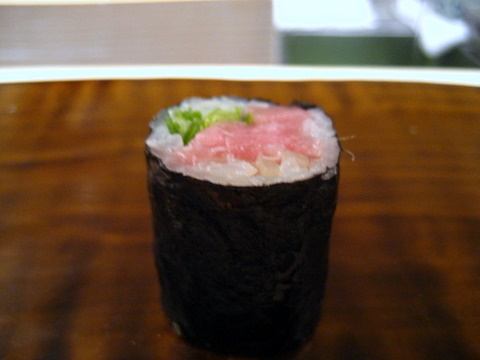 I wouldn't have expected such heavy ingredients to necessarily play well with each other but the tangy radish helped temper the Wagyu's unctuousness while the salty sweet interplay of the uni and caviar served as the dominant flavor profile. As always the fish comes on a beautifully carved block of ice and as always the quality is unmatched. 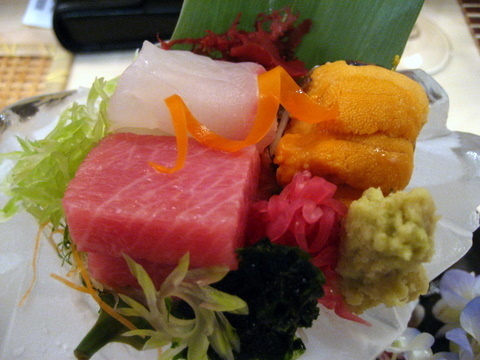 The minimal adornment make it possible to appreciate every subtle nuance of the sashimi. I like to think of this as an upscale shark's fin soup and like any good shark's fin soup, the key is not in the fin itself but the soup. 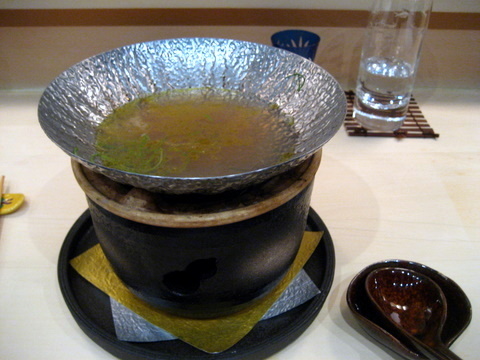 The stock itself was surprisingly thick and heavy with a concentrated umami essence from the shellfish. 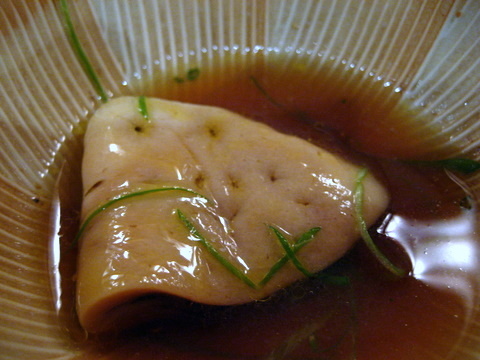 The fin has a subtle gamy fishiness that intensified the flavor of the soup making for an incomparably rich broth. 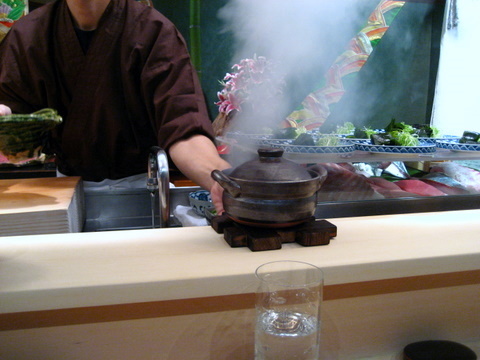 Hiro was brought 10 black ceramic bowls into each of them he poured a small amount of liquid which immediately resulted in a gout of steam. 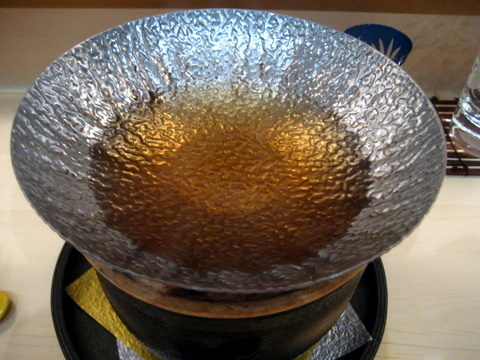 The liquid was sake and the steam was caused by a bed of hot stones in each of the bowls. 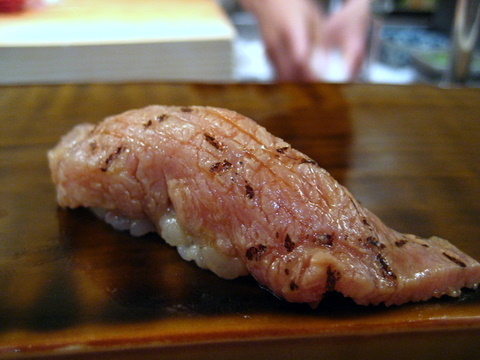 The result was an exquisite temperature of beef that I have never seen since or again kissed with a touch of sweetness. 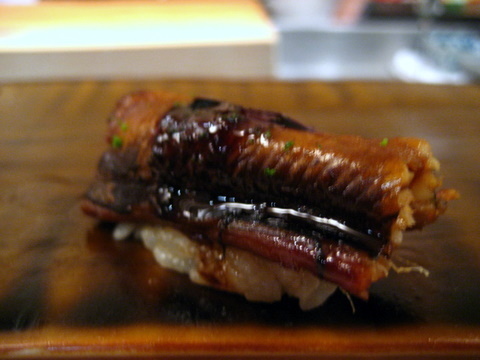 As enjoyable as the beef was the accompaniments of uni, shrimp, and mushroom made it better, the wondrous riot of flavor lingered on the tongue and made me crave more. 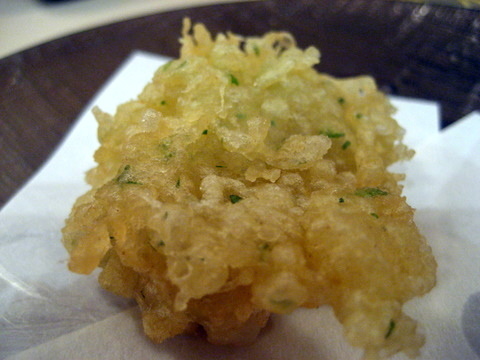 The anago tempura was laughably simple compared to the complexity and elegance of the previous dishes. 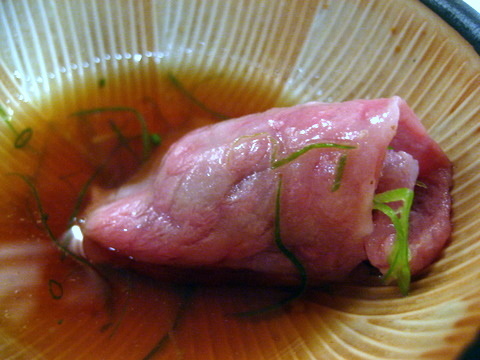 Still the sea eel was incredibly tender with delicate sapor that lent itself well to the tangy tentsuyu sauce. I have yet to meet a single person who doesn't love this course. 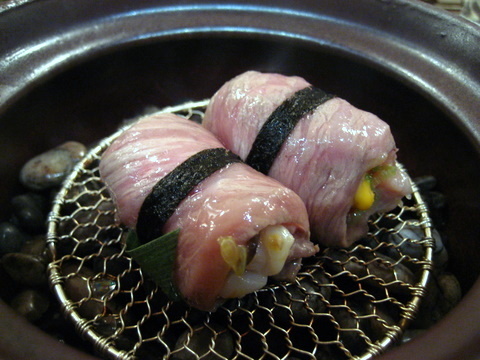 If I ever chose to give up meat watching the fat bubbling on the hot stone would probably shatter my willpower. 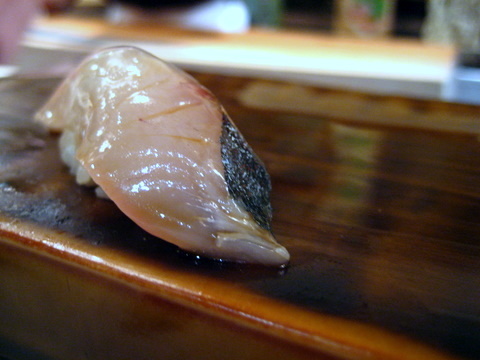 The cooking heightens the natural flavor of the oil resulting in a smokier fishier complexion which is remedied by a quick splash in the ponzu. What more is there to say the ultimate expression of decadence in fish form. 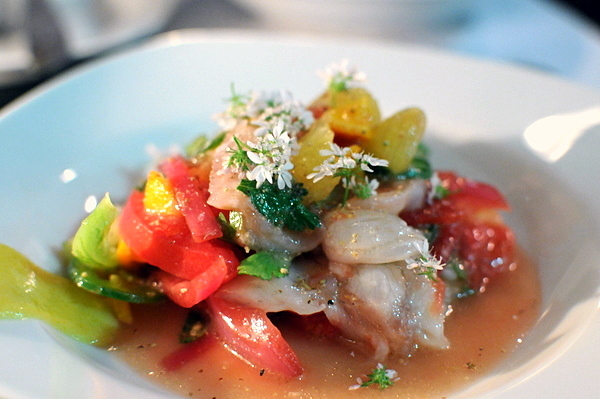 The use of citrus tempers the richness somewhat and the savory tang lingers on the palate long after the morsel is gone. 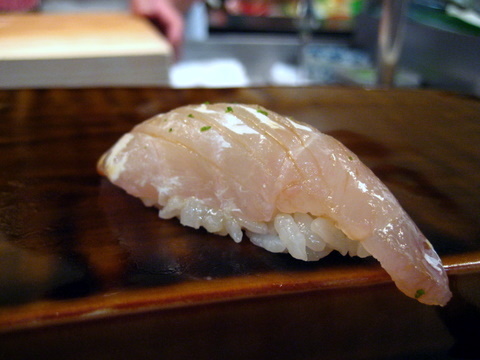 An old favorite Kanpachi has been surpassed by other fish but it remains one of the most texturally satisfying, the complex texture is just a joy to experience. 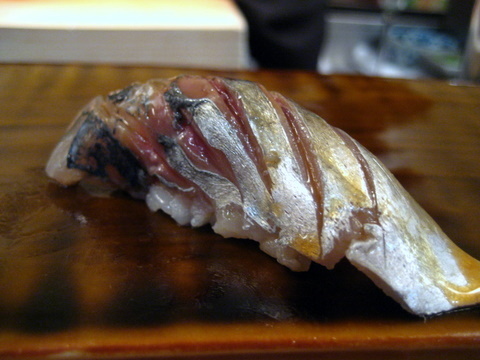 In earlier years Aji was a watchword for fishy but with more upscale restaurants, Urasawa in particular offers a more temperate version the characteristic flavor is tinged with a subtle sweetness. This particular example didn't even come with the traditional ginger and scallion topping. 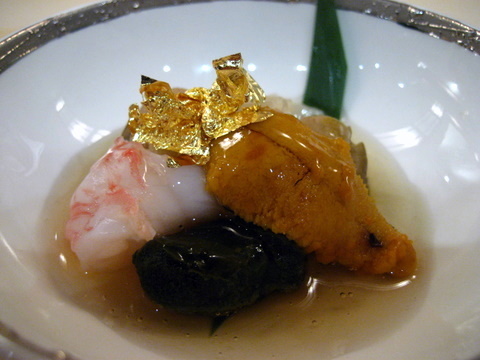 Deliciously snappy and vibrant the mild flavor of the fish lends itself well to Hiro-san's chosen accompaniments. 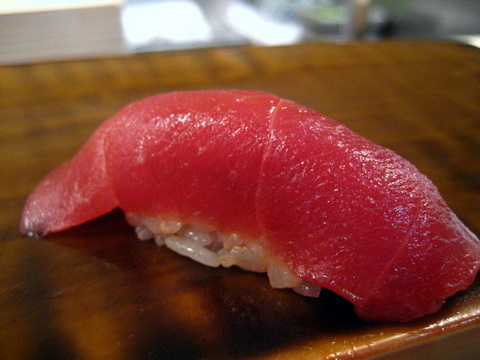 Tuna is the gateway drug of the sushi world, no slimy texture or off-putting flavors to speak of. 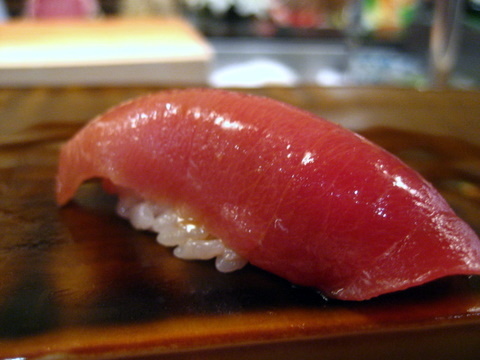 This happened to be one of the richer pieces of tuna but still was positively boring next to the fatty tuna. 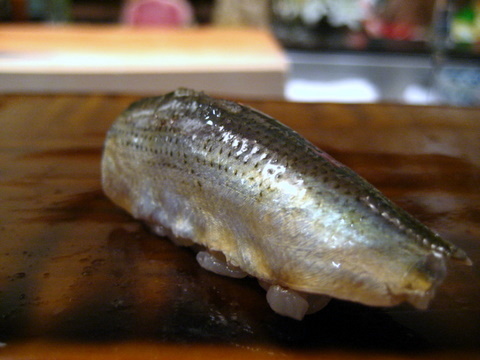 Another exquisite fish, the texture defies simple quantification and must simply be experienced to be understood. 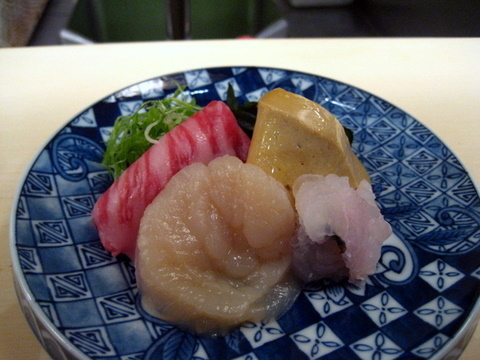 Hiro-san's custom soy and wasabi mixture is the perfect compliment to the mild flavor of the fish. 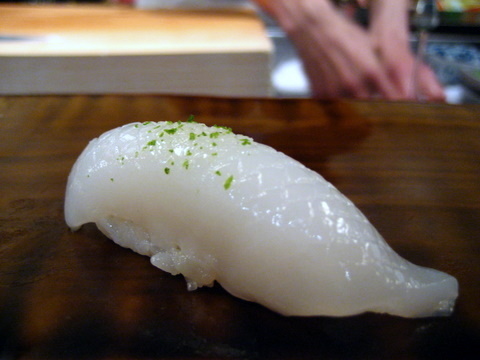 Squid possesses one of the more unique textures in the sushi world, initially rigid and dense the texture becomes creamy over time and yields a slightly sweet salinity perfectly accented by the citrus zest. 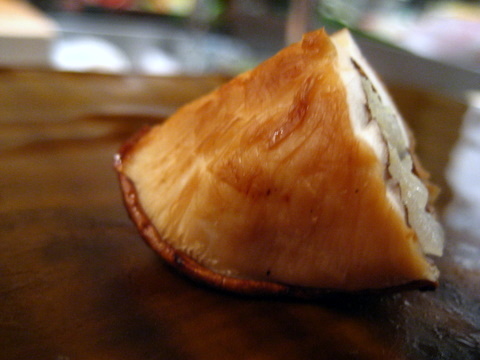 The shiitake nigiri is an Urasawa original and a great opportunity to appreciate the yielding bite and woody muskiness.of the mushroom unfettered by richer accompaniments that it is often paired with. 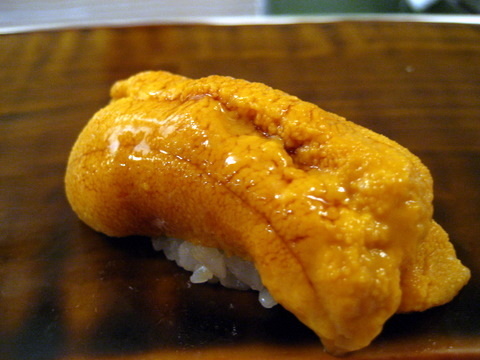 Perfectly spot on uni, from the chilled temperature to the thick creamy texture to the vivid sweetness and lingering essence of the ocean. Oddly this may be a first at Urasawa. 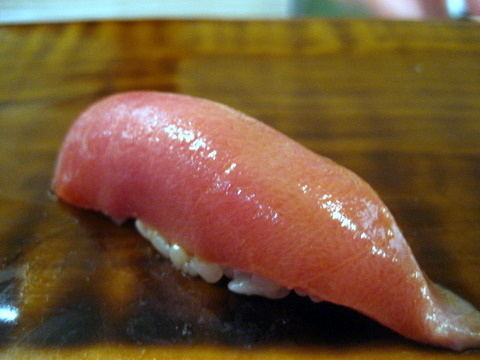 Visually this looks much closer to the hon-maguro though a good deal lighter in color. 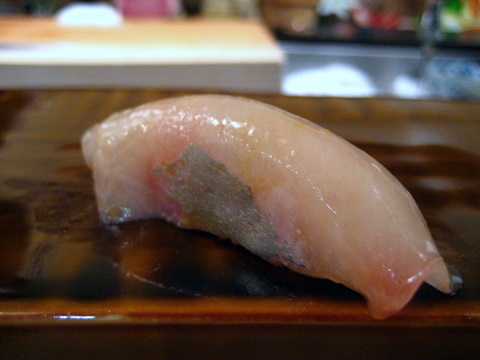 Texturally this was a much more muscular cut, more like a white fish in texture with a pleasing snappiness. 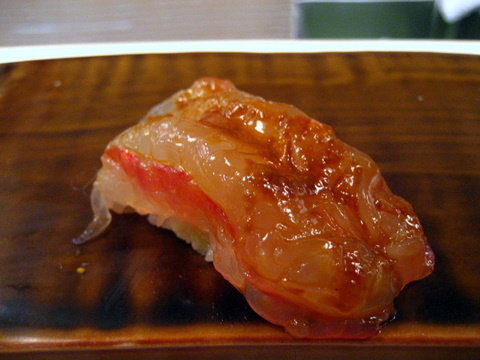 The Shiro Ebi always reminds me of beef tendon, extremely dense, the tiny shrimp take on a distinctive viscous consistency. 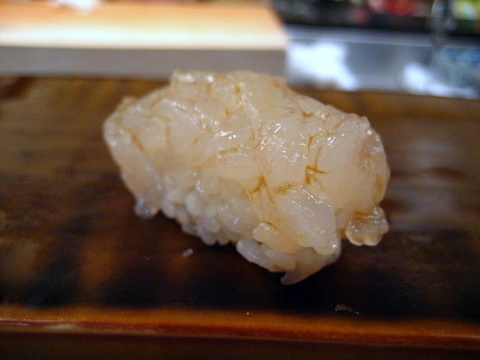 I am always amazed at the abalone nigiri at Urasawa. 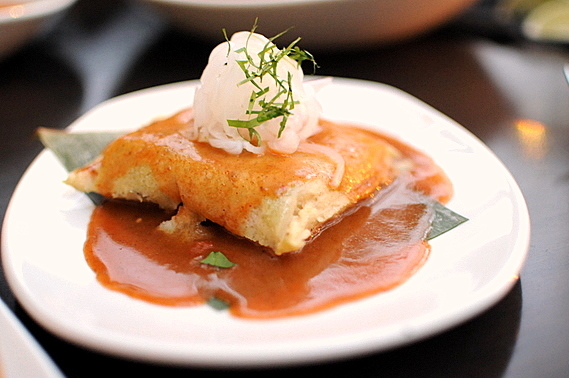 The delicate scoring, the pleasing snap, and the briney sapor all make it a joy to eat. 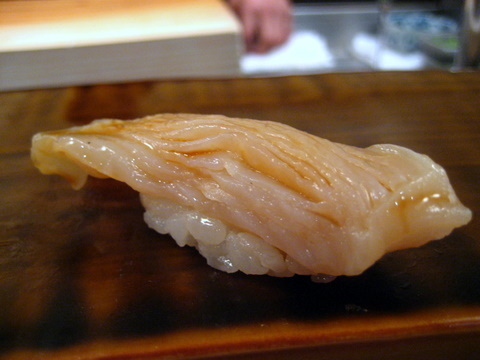 Biting through this reminded me of eating the chicken cartilage at Yakitori Totto, the geoduck has a satisfying crunch and a flavor reminiscent of the abalone but magnified. Same as above and just as delicious. 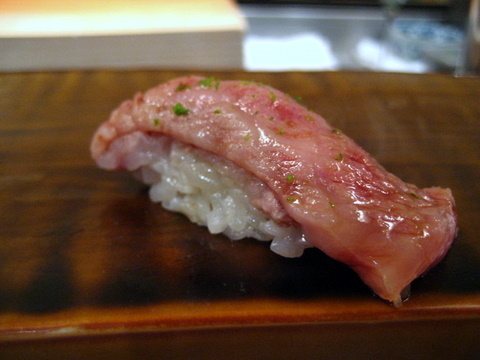 I never get tired of Toro at Urasawa. Easily the oiliest fish of the night, distinctly fishy with a slightly sour twinge. Quite delicious and a nice change of pace from the milder fish we have been enjoying all evening. 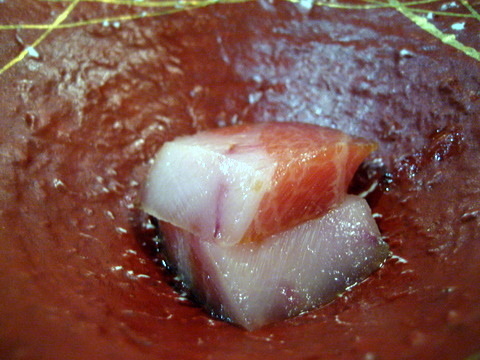 I have always wondered if this is a normal part of the meal or if Hiro-san uses every last bit of Toro on hand to satisfy our group's insatiable lust for the fish. I think I have had this every time I've been here so my money is on the former. Imagine the ideal slice of beef, temperature, thickness, texture all perfect, the flavor is one of concentrated beefiness layered with unctuousness. 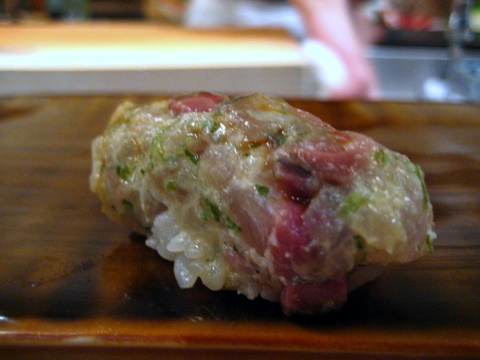 For all those beef purists who scorn Wagyu, I say try this. 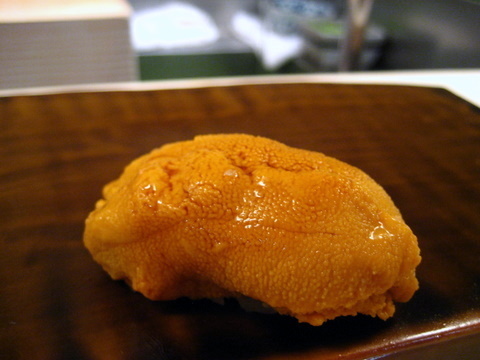 The sea urchin has been plentiful tonight apparently because Hiro-san bought too much, but can you really have too much uni? 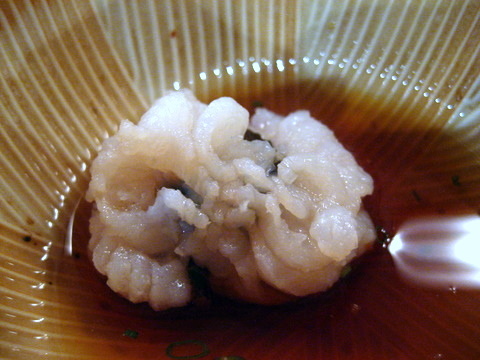 Urasawa is one of two restaurants where I have had sweet shrimp sauced with its own innards, giving the shrimp a noticeable metallic tinge on top of the shrimp's natural flavor. 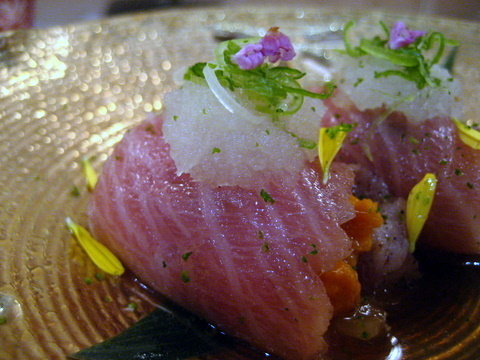 The Aji no Tataki is prepared in a more conventional method than the Aji nigiri, combining the delicate flavor of the Spanish Mackerel with shiso, scallion, and ginger which add an invigorating tang to the mix. 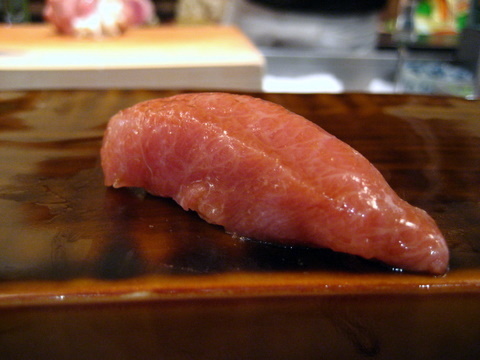 Another piece of that sublime medium fatty tuna. 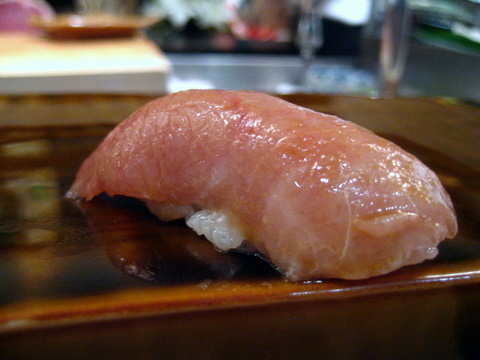 I've had purported pieces of o-toro that weren't as rich as this. 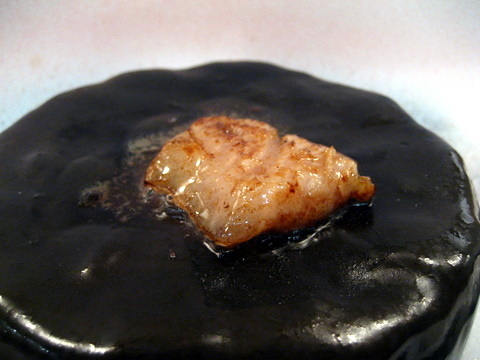 An unusually dense anago, much richer and more full-flavored than most, it came with a coating of a sticky sweet "chocolate" sauce. 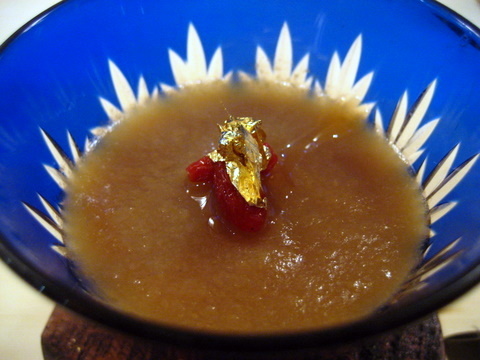 A forceful yet refined dessert, the flavor of peach suffuses the mouth, sweet and refreshingly light. As always the ice cream is absolutely delicious, the pure essence of sesame in a creamy body with a hint of roughness from the ground sesame. 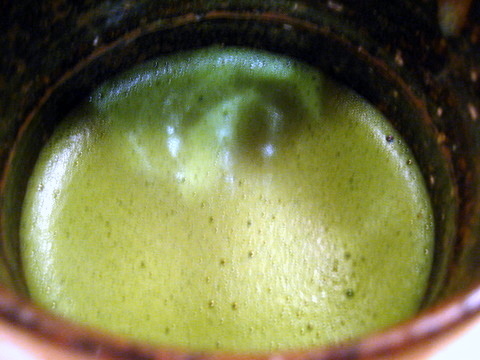 The first tea is a thick frothy green tea. 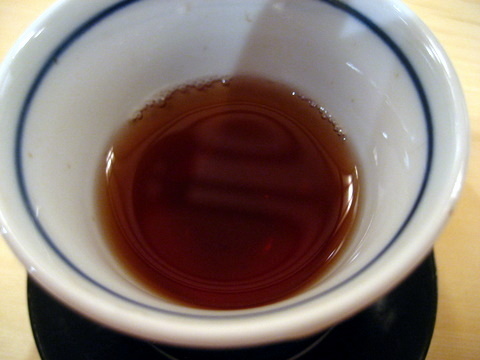 The herbal bitterness of the tea is readily apparent in contrast to the sweetness of the two previous dessert courses. As always Urasawa delivers. On the eve of a fifth and extremely special visit I thought it fitting to revisit an old memory to whet my appetite.